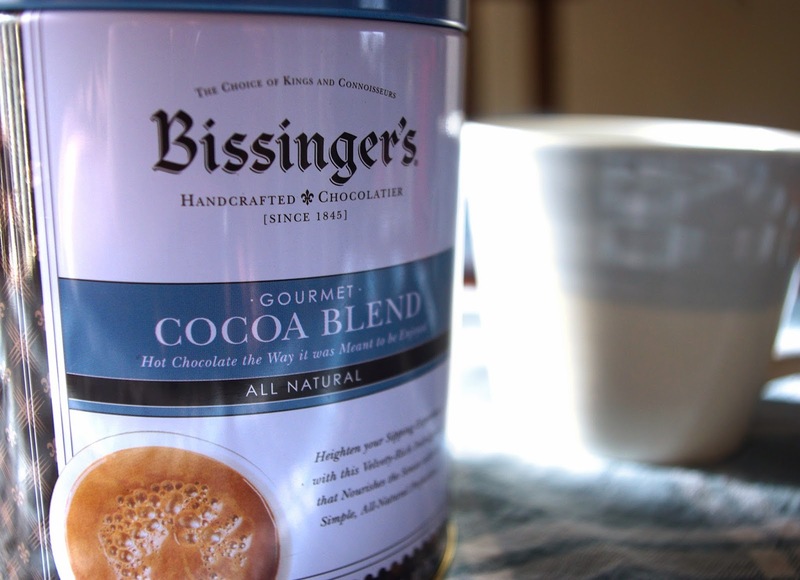 Today as I was making my morning hot chocolate, I reached for the Bissinger's. I noticed I was starting to get low on this one, so I grabbed my camera and snapped some pictures for a review. 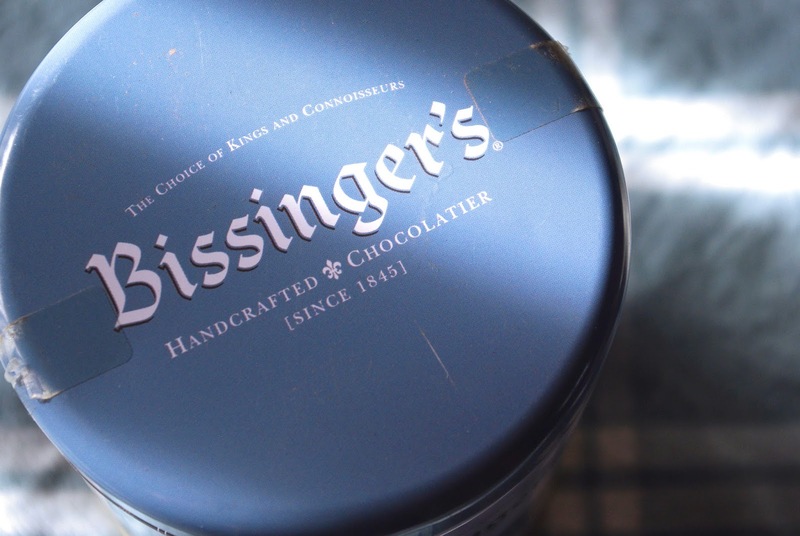 Have you heard of Bissinger's? Here in Southern California, you can find their chocolates in Whole Foods markets, which is where I found this hot cocoa. Oddly, I can't find it online anywhere. Maybe they've stopped making it? Their website store has all of their products, of course, but the hot cocoa is missing. They make a lot of very interesting chocolate products, and have a very long history which began in Paris, France. In 1668, King Louis XIV granted the Bissinger family the title of "Confiseur Imperial" because of their amazing confections. Eventually they brought their treats to America. This is a hot cocoa, not a hot chocolate. Hot chocolate has actual chocolate in it, whereas cocoa usually only has cocoa powder. 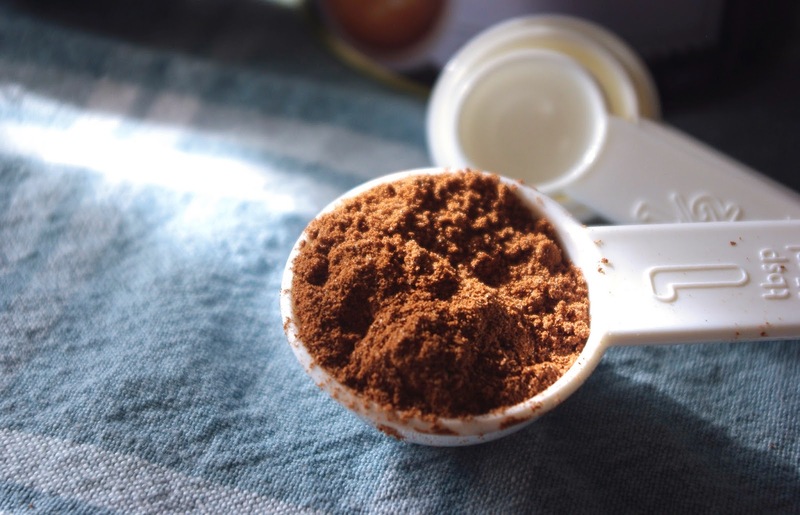 The ingredients include dried cream, vanilla powder, cinnamon, and rice bran. Interesting stuff! Most of the less expensive hot cocoas usually have some type of milk powder in them, but this is the first I've seen with dried cream. The cinnamon is a nice touch. It's not strong and recognizable, like in a Mexican hot chocolate. 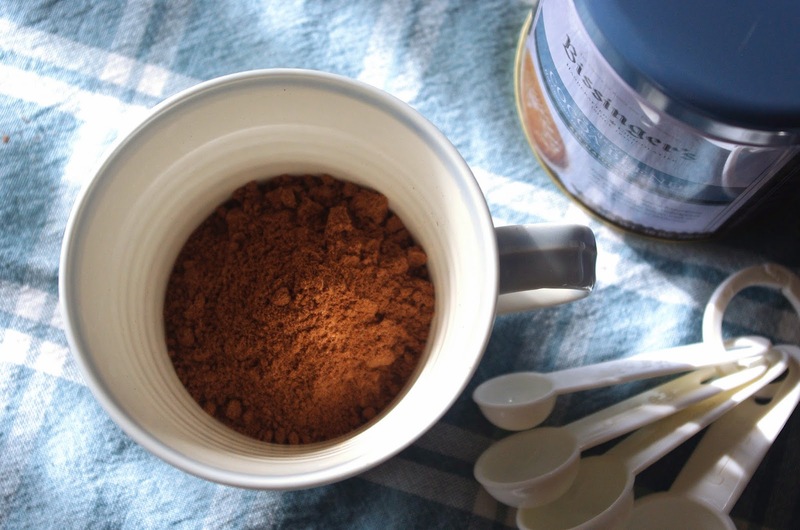 It's subtle, but it certainly adds a flavor that elevates this cocoa. And rice bran? I had to look that one up! Apparently, it's "the layer between the inner white rice grain and the outer hull. While comprising just 8% of total weight, rice bran accounts for 60% of the nutrients found in each rice kernel." It's got antioxidants, too, so it's pretty good for you. The directions specify to make it with milk. Another surprise. 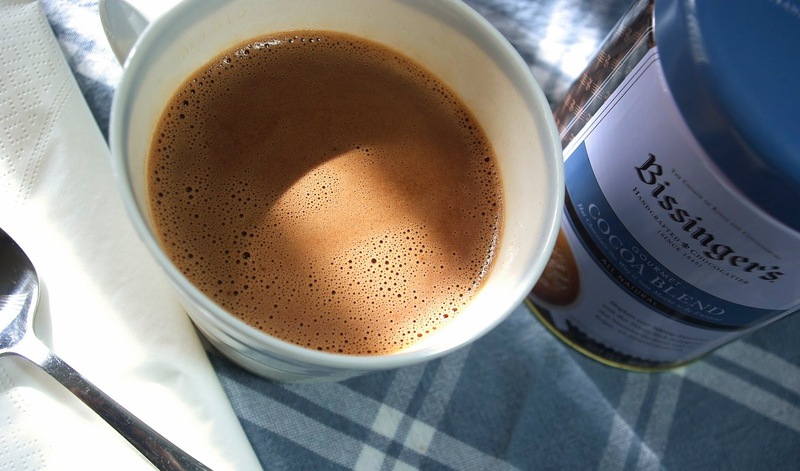 Usually cocoas that include a dried milk product are to be mixed with water, the dried milk product being there to help make it creamier once it's rehydrated. Which means this dried cream must be there make it even richer. Nice! Prepared as the directions instruct, it's very rich and strong. You could cut the amount of mix they tell you to use in half and still have a great cup of cocoa. It's not the smoothest mix, mainly because cinnamon and rice bran don't actually dissolve like sugar does. But I wouldn't call this a grainy cocoa at all. It's very creamy. It's a wonderful hot cocoa, and it would be a shame if they're not making it anymore. 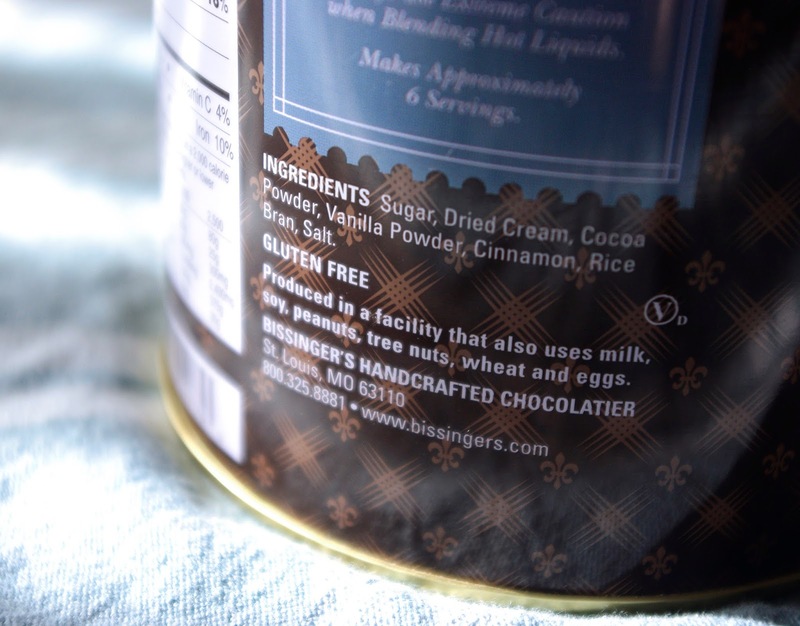 1/10/14 edit: I just received a message from Bissinger's, and unfortunately, they're not selling hot cocoa mix anymore. That's too bad, it was really good!